Follow Start > All Programs > DVDVideoSoft > Programs > Free Audio CD to MP3 Converter or just click the DVDVideoSoft Free Studio icon on the desktop. The interface is very simple and self explaining. There is a field for audio tracks, a field for an output path and the Convert button. Insert an Audio CD to your drive. The program will detect audio tracks. You can mark which of them you want to copy. You can click "Get Info" to get the name, artist and album of the source audio tracks. 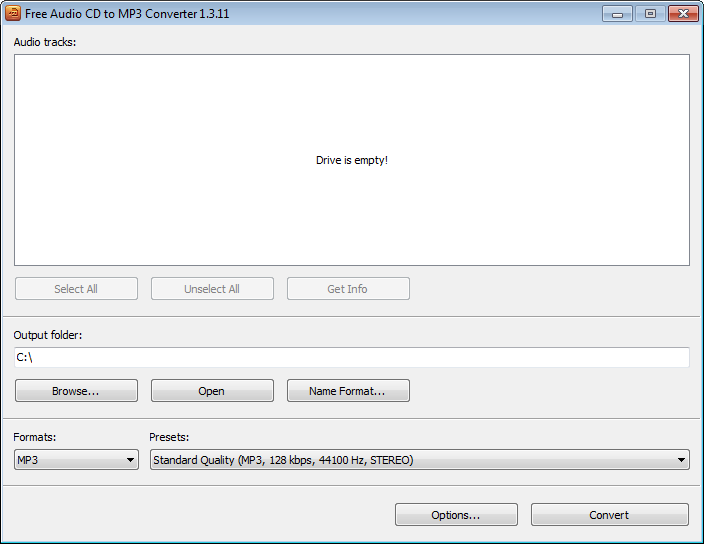 Click the Browse... button and choose the location where you would like to save your converted audio files. 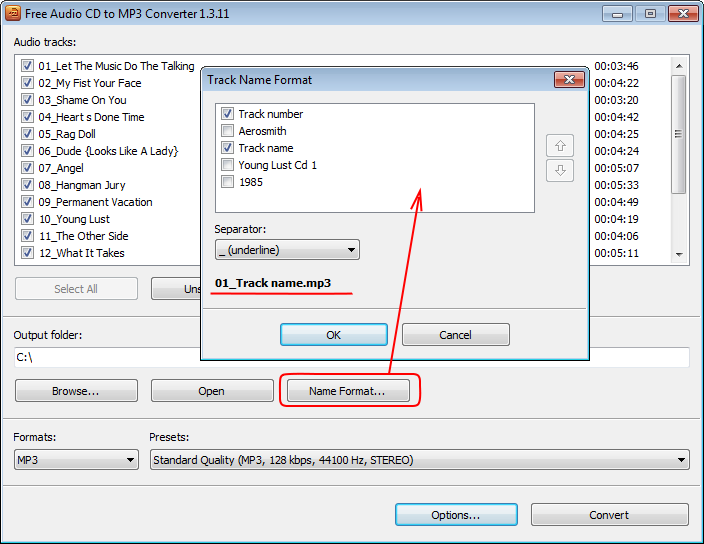 Click the Name Format... button to set file name format for the output MP3 file(s). There are some parameters in it (Track Name, Artist, Album, Year) which you can set as you like. 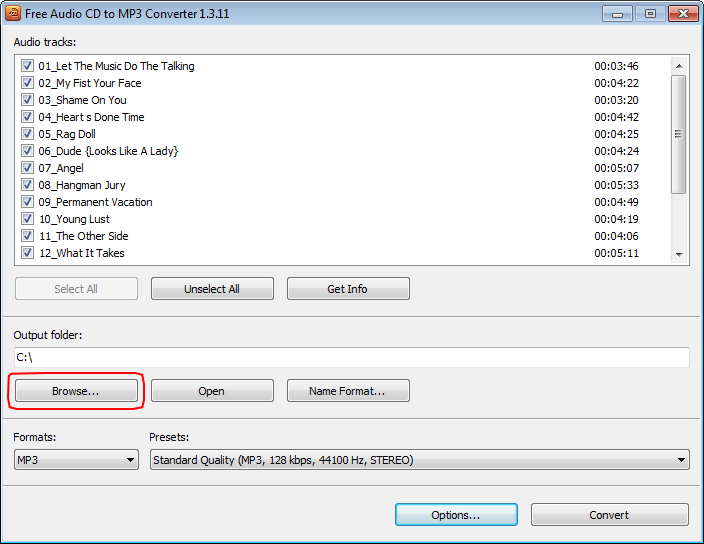 Note: Free Audio CD to MP3 Converter automatically fills the tags and the artwork, which can be seen in iTunes, Winamp or just a Windows Explorer folder. 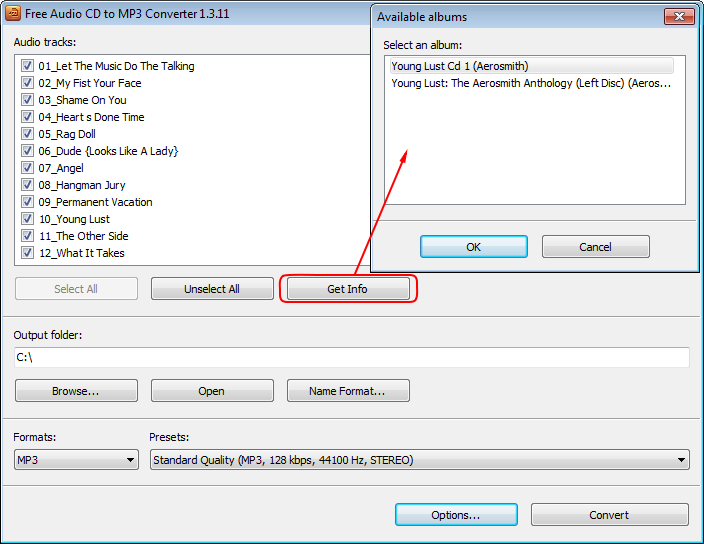 In the list of formats you can select the output file format, such as MP3, AAC, OGG, WMA or WAV (lossless audio). - Economy Quality (MP3, 64kbps, 44100Hz, STEREO). When you are ready, click the Convert button along the bottom of the interface to convert audio to mp3 and wait just a few seconds or several minutes.